This article first appeared in The Edge Malaysia Weekly, on March 19, 2018 - March 25, 2018. AS UMW Holdings Bhd reconfigures itself after three of its worst years in recent memory, the conglomerate has set its sights on taking majority control of listed automotive player MBM Resources Bhd. On March 9, the group announced that it had offered RM2.56 per share — or a total of RM501 million — for a 50.7% controlling stake in MBM, currently held by Med-Bumikar Mara Sdn Bhd. The offer values MBM at RM1 billion, a 16.36% premium to its market value on that day. To Corporate Malaysia, the prize in UMW’s cross hairs is obviously national carmaker Perusahaan Otomobil Kedua Sdn Bhd (Perodua), in which UMW already has a 38% stake. But Perodua is not the only goal, clarifies UMW president and group CEO Badrul Feisal Abdul Rahim. He also sees MBM — which does motor trading and manufactures automotive parts — as a natural fit for UMW’s own core business. 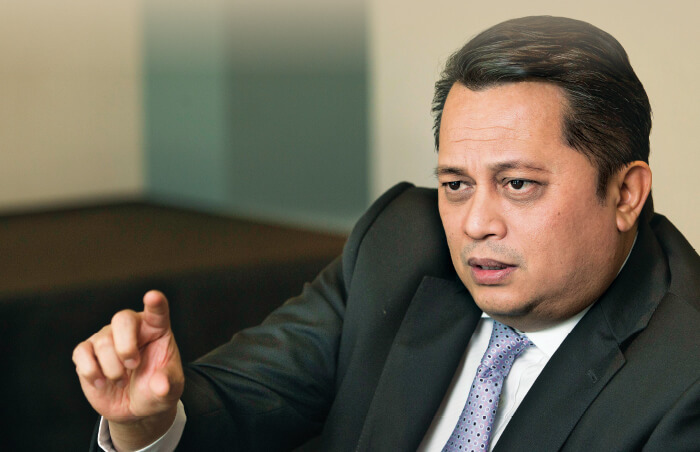 “Of course, people would say the target is actually Perodua but as far as UMW is concerned, we are into automotive and manufacturing and MBM has both of that too,” says Badrul in an exclusive interview. 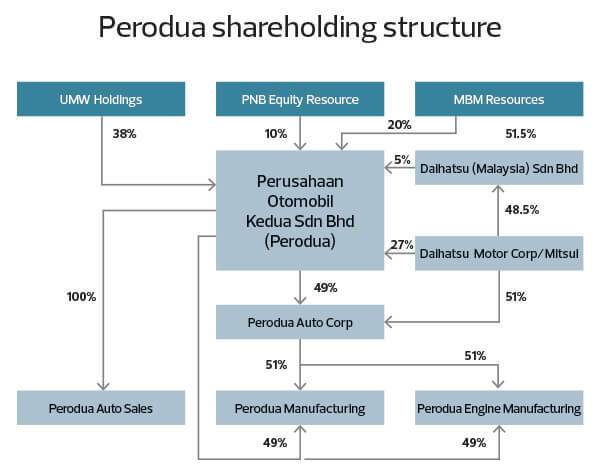 MBM has 22.58% equity interest in Perodua with another 10% held by UMW’s majority shareholder, Permodalan Nasional Bhd, via PNB Equity Resource Corp Sdn Bhd. UMW has also separately offered RM417.5 million to buy PNB Equity Resource’s 10% stake. The remaining 29% or so in Perodua is held by Daihatsu Motor Corp as the technical partner. If Med-Bumikar accepts the offer, UMW intends to privatise MBM by offering the same price to the other shareholders. The RM2.56 offer price represents a 13.3% premium to MBM’s five-day volume-weighted average market price up to March 6. The market reacted to that potential offer too — on Monday, MBM surged 11.21% to RM2.43, its biggest single-day advance in 14 months. Last Friday, the stock closed at RM2.47, giving MBM a market capitalisation of RM965.49 million. Gaining control over loss-making MBM would allow UMW to exercise majority control over the national carmaker. 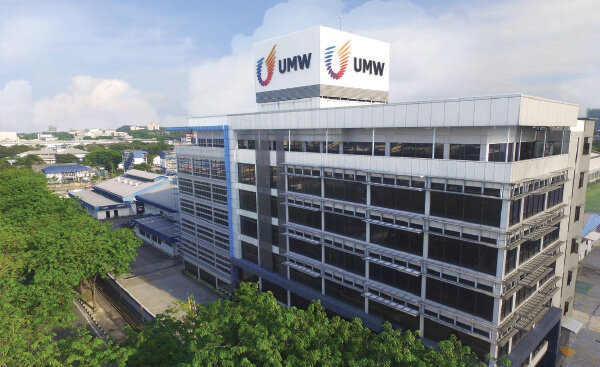 The market seemed to approve of the proposal — UMW’s share price surged 9.07% over two trading days following the announcement — even though there was no certainty that Med-Bumikar would accept the offer by the deadline of 5pm on March 28. In fact, the offer was not originally meant to be disclosed so soon, Badrul says, as that was not required under the regulations. However, UMW was informed by Med-Bumikar last Friday that it had notified MBM about the offer, which necessitated MBM to disclose the matter to Bursa Malaysia. “Once we were notified of that, we knew that we also had to make the announcement on the same day,” Badrul says. That chain of events was also why the proposed cash call to fund the MBM takeover bid was, unusually, announced separately just days later, he adds. “Internally, we had intended to get the final board approval in terms of the proposed rights issue on Tuesday (March 13),” explains the UMW chief. On March 13, four days after the offer announcement, UMW said it planned to raise as much as RM1.1 billion to fund the proposed MBM takeover if Med-Bumikar accepted the offer. That saw UMW’s share price spiral down 9.09% — its largest single-day drop in six months — wiping out RM689.29 million in market value based on Bloomberg data. The stock recovered to end at RM6.06 last Friday, gaining a net 1.85% since the offer was announced. That put the company’s market capitalisation at RM7.15 billion. It is worth noting that UMW has been Perodua’s single largest shareholder since 1993. So, why is it making this move for MBM — and the additional Perodua stake — now? Badrul says the merits of the proposed acquisition had been on UMW’s radar screen for some time but the group was focused on sorting out its oil and gas-related problems in the past two years. “Before you make any strategic move, you should actually put everything in order first,” says Badrul, adding that UMW is nearly done with that. Since taking the helm in October 2015, UMW’s president has overseen some of the group’s most difficult years. Last month, the company announced its third consecutive loss-making year. For perspective, prior to 2015, UMW last reported a net loss of RM48 million in 1998, according to data going back to the company’s financial year ended Dec 31, 1990 (FY1990). A reconfiguration had involved the demerger of loss-making oil rig player UMW Oil & Gas Corp Bhd (UMWOG) from UMW last July. That eased some of the strain on UMW’s financial position as it had had to share some of UMWOG’s losses due to its 55.72% shareholding prior to the demerger. UMW had ventured into oil and gas in 2002. In addition, UMW had a slew of privately held oil and gas investments from which it sought to exit. At the moment, there are nine non-listed oil and gas businesses left to dispose of and all have been fully written down, says Badrul. “So we believe the worst is over, that we are done with managing legacies. This year, if everything goes well, we expect a better performance in terms of our financials and be back in the black,” he adds. That optimism is underpinned by the expected completion of UMW’s new RM2 billion Toyota assembly plant in Bukit Raja next year. The plant is designed for an annual capacity of 50,000 units initially, which may later be increased to 100,000 units. Apart from the automotive division, UMW’s industrial equipment segment is also looking up, thanks to an expected recovery in key markets, Badrul opines. He expects the segment, which made a pre-tax contribution of RM140 million to the group’s earnings in FY2017, to return to RM200 million annual contributions by FY2019 at the latest. Does that mean shareholders can expect dividends to resume this year after a drought in FY2016 and FY2017? “While we do understand shareholders expect returns from companies they invest in, these could be in the form of share price appreciation and/or dividends. “As far as the dividend outlook for the year is concerned, it depends on the cash flow position of the company this year,” Badrul comments. Both its automotive and industrial equipment segments made up RM10.41 billion of the group’s overall turnover of RM11.05 billion in FY2017. While these segments have provided UMW with stability through the years, the principal-driven nature of the businesses has also made it challenging for growth prospects. A potential key growth driver could be its RM750 million aerospace manufacturing venture in Serendah, where UMW is also developing a high-value manufacturing park on its 861-acre land bank. But these may take time to yield returns. This explains the pursuit of MBM and Perodua to boost the automotive division. So, is UMW also actively looking for acquisitions for the industrial equipment division? The answer is yes, says Badrul. Though some analysts have commented that UMW may need to make further investments to enhance some of MBM’s operations, Badrul says it is premature to talk about that. According to analysts, the consolidation of Perodua’s earnings would be a substantial boost to UMW, even with the cash call. In its financial year ended Dec 31, 2016, Perodua recorded a net profit of RM463.59 million on revenue of RM9.05 billion and paid out RM205.94 million in dividends to its shareholders, according to publicly available data. In a March 14 note, Kenanga Research estimates that even if MBM’s minorities fully opt for UMW shares in return, the Perodua consolidation would still be earnings per share accretive at 14% on a full-year contribution basis next year. “However, due to a six-month contribution in FY2018E from MBM and 10% from Perodua, we will see an EPS dilution of -5% (full cash scenario) and -3% (full share scenario),” says the research house. Despite market excitement over UMW’s intended acquisition of MBM and Perodua, much remains uncertain. Among others, the offer is seen as unattractive to MBM’s shareholders even at a 13.3% premium. At RM2.56 per share, the offer values MBM at just eight times forecast earnings for FY2019, notes MIDF Research in a March 12 report. “UMW’s offer is also at a steep 30% discount to FY2017A book value of RM3.68 per share and in our estimates, it effectively values MBM’s 22.6% stake in Perodua at just eight times FY2019F earnings,” says the research house. There were seven “buy” and three “hold” calls on MBM at the time of writing. The target prices among the “buy” calls ranged from RM2.56 — revisions prompted by UMW’s offer — to RM3.10. And then there are also the principal and partner to think about: will Toyota and Daihatsu be happy with the proposal? Badrul says UMW had notified both Japanese parties on its offer to Med-Bumikar. While some analysts believe Toyota would not oppose as Daihatsu is already part of the global Toyota group, Badrul clarifies that UMW had not heard back from either party officially. “I hope that the proposed transactions will be viewed positive by both partners, namely Toyota and Daihatsu, in the context of consolidating the ownership under one roof to ensure consistent strategy and stability in the many years to come,” says Badrul. While there is a possibility that Med-Bumikar may accept the deal due to scarcity of potential suitors despite the apparently cheap valuation, the same may not necessarily be the case for other MBM shareholders. “We believe UMW will be hard-pressed to convince MBM’s minority shareholders to accept the offer, given the rather cheap valuation. Thus, we opine that the acquisition of MBM may not materialise,” remarks TA Securities in a March 12 note. UMW is cognisant of the street’s view of the offer price. But it is a “fair deal” for MBM’s shareholders, Badrul argues. “We believe that we’re offering a fair price, which is actually at a premium of more than 13%,” he says, adding that the price matches MBM’s peak over the last 12 months. For MBM’s minority shareholders, UMW will also offer a share swap option for its shares pegged at RM6.09 each in lieu of cash. That will allow them to ride UMW’s growth story, Badrul notes. While the overall plan involves more than the Med-Bumikar stake — UMW intends to privatise MBM and purchase PNB Equity Resource’s 10% in Perodua too — the clincher will be Med-Bumikar’s majority stake in MBM. While publicly available information indicates that Majlis Amanah Rakyat (Mara) is the largest shareholder with 33.04% equity interest, the remaining shares in Med-Bumikar are divided among 13 other direct shareholders. In fact, many Med-Bumikar shareholders appear to be entities linked to various MBM board members. For example, Prestige Automobiles Services Sdn Bhd, with 10.52%, appears to be linked to MBM chairman Datuk Abdul Rahim Abdul Halim. Another interesting name that surfaces in Med-Bumikar is Looi Kok Loon, who was MBM managing director from 2006 up to his resignation in early 2007. Looi directly controls 1.62% of Med-Bumikar and is a substantial shareholder of K P Looi Holdings Sdn Bhd, which has a 7.84% stake in the former. In a nutshell, it may be a complicated discussion on the Med-Bumikar side. If the company rejects UMW’s offer for its 50.7% stake in MBM, is there room for UMW to increase its offer price? In that scenario, UMW will have to go back to its board for a decision, although he personally feels that a revised offer price is “highly unlikely”.